The familiar concept described by the word "vibrations" suggests the rapid alternating motion of a system about and in the neighbourhood of its equilibrium position, under the action of random or deliberate disturbing forces. It falls within the province of mechanics, the science which deals with the laws of equilibrium, and of motion, and their applications to the theory of machines, to calculate these vibrations and predict their effects. While it is certainly true that the physical systems which can be the seat of vibrations are many and varied, it appears that they can be studied by methods which are largely indifferent to the nature of the underlying phenomena. 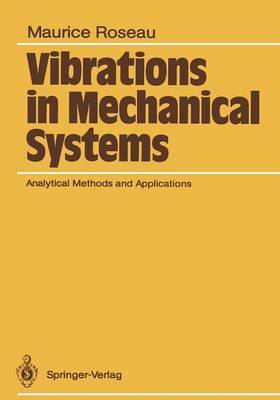 It is to the development of such methods that we devote this book which deals with free or induced vibrations in discrete or continuous mechanical structures. The mathematical analysis of ordinary or partial differential equations describing the way in which the values of mechanical variables change over the course of time allows us to develop various theories, linearised or non-linearised, and very often of an asymptotic nature, which take account of conditions governing the stability of the motion, the effects of resonance, and the mechanism of wave interactions or vibratory modes in non-linear systems.